Sister Sledge were formed in 1971 in North Philadelphia and went, initially, under the name of Sisters Sledge. The four sisters were aged between 12 years old and 16 years old at the outset. This quartet recorded their first single, Time Will Tell , for the local Money Back label. The following year the girls had relocated to the Atco label where they released the single Weatherman . In 1974, the group released their first album entitled Circle Of Love , which contained their first hit, Love, Don’t You Go Through No Changes on Me . However in 1975 saw the groups first major chart success, with the song Mama Never Told Me , which became a sizeable U.S. and U.K. chart hit that year. Two years later saw the release of the bands second album outing entitled Together . It was in 1979, however, that the sisters hit the big time after teaming up with the song-writing duo Nile Rogers and Bernard Edwards from the group Chic. A series of hits followed including He’s The Greatest Dancer , We Are Family , Lost In Music and Thinking Of You . The Sisters spent two lucrative years with Nile Rogers and Bernard Edwards, however, they left the duo and began to produce their own material in 1981. In 1983, the group released the album Betcha Say That To All The Girls , an album that featured the popular soul song Smile . That album also featured input from Al Jarreau. By 1985, they had returned to the charts with the commericial and poppy song Frankie , which made it to the number one spot in the U.K. that year. Sister Sledge left the label Atlantic, in 1985, with various members recording solo albums throughout the 1990s. Kathy’ Sledge released a debut solo album, entitled Heart , in 1992. 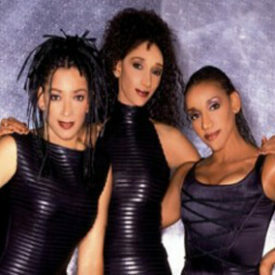 In 1997, the sisters recorded the album African Eyes , which was well received by the critics. During the early part of the millennium, the sisters contributed to a couple of European dance twelve-inches.